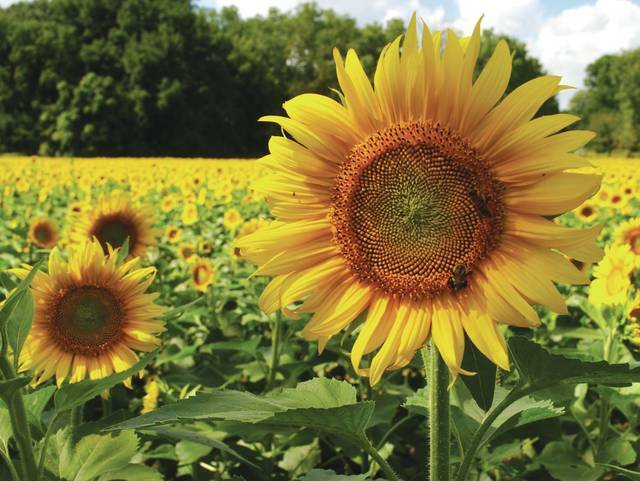 Whitney Vickers | Greene County News The sunflower field in Yellow Springs has made its annual appearance. The flowers are expected to be in bloom for the next few weeks. The landowners have the field planted each year “just to make people smile.” They ask that individuals respect the space by avoiding picking the flowers or exploiting the field. 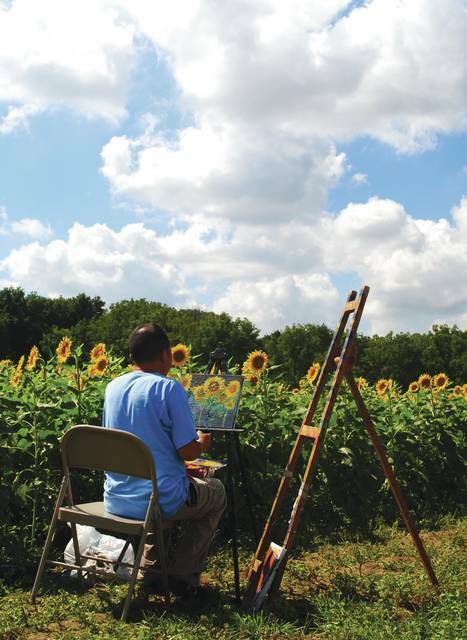 Local artists, such as portrait photographers, are invited to use the field as inspiration but should avoid utilizing the space as a means to make money. The field is located at Whitehall Farm, which is also the Tecumseh Land Trust and is located at 4633 U.S. Route 68 in Yellow Springs. Parking is available off the field. The sunflower field in Yellow Springs has made its annual appearance. The flowers are expected to be in bloom for the next few weeks. 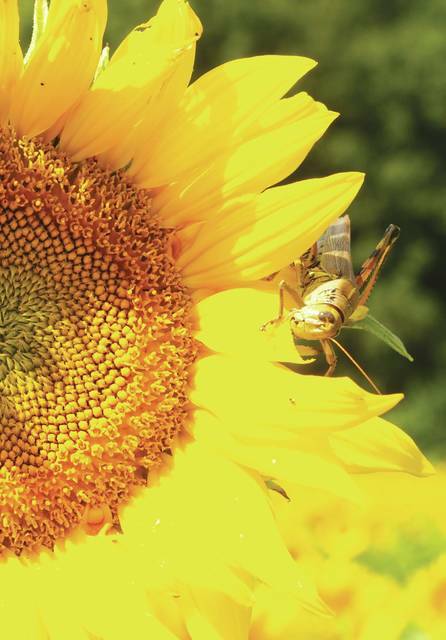 https://www.fairborndailyherald.com/wp-content/uploads/sites/50/2018/09/web1_yssunflowersforever1.jpgWhitney Vickers | Greene County News The sunflower field in Yellow Springs has made its annual appearance. The flowers are expected to be in bloom for the next few weeks. 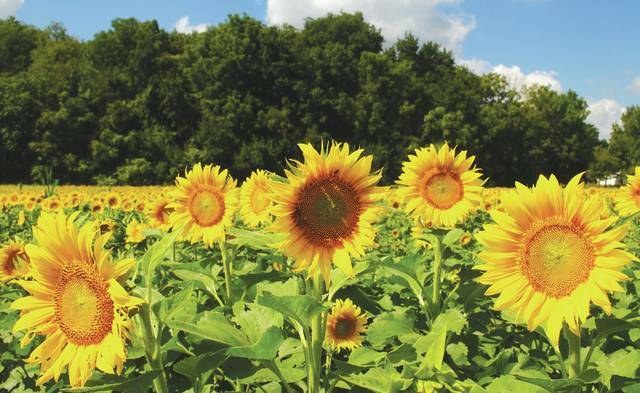 https://www.fairborndailyherald.com/wp-content/uploads/sites/50/2018/09/web1_yssunflowerfield2.jpgWhitney Vickers | Greene County News The sunflower field in Yellow Springs has made its annual appearance. The flowers are expected to be in bloom for the next few weeks. https://www.fairborndailyherald.com/wp-content/uploads/sites/50/2018/09/web1_yssunflowers3.jpgThe landowners have the field planted each year “just to make people smile.” They ask that individuals respect the space by avoiding picking the flowers or exploiting the field. Local artists, such as portrait photographers, are invited to use the field as inspiration but should avoid utilizing the space as a means to make money. https://www.fairborndailyherald.com/wp-content/uploads/sites/50/2018/09/web1_yssunflowers4.jpgThe field is located at Whitehall Farm, which is also the Tecumseh Land Trust and is located at 4633 U.S. Route 68 in Yellow Springs. Parking is available off the field.